Leukemia is not only a known danger and life-threatening condition among people. It is also present among cats worldwide, with the slight difference of referring to it as Feline Leukemia Virus or FeLV in cats for short. The Feline Leukemia Virus is the number two cause of death among cats all around the world. Trauma is the first. FeLV in cats is so common that it affects and eventually kills of approximately 85% of the cats worldwide. That is an unfortunate number to be aware of. So, if you are a proud owner of a loving cat, we encourage you to read more about this difficult condition. We discuss its causes, symptoms, ways to treat it and most importantly – what you can do to prevent it. What Is Feline Leukemia Virus (FeLV) in Cats? Can I Get Feline Leukemia Virus from My Cat? The Feline Leukemia Virus (FeLV) belongs to a group of viruses known as retroviruses. You might have heard of retroviruses if you have investigated the Human Immunodeficiency Virus (or HIV in people) and the Feline Immunodeficiency Virus (FIV) in cats and dogs. When we say retroviruses, we are talking about a group of viruses that has the ability to take over the production of genetic material (DNA and RNA) in every cell by producing a specific enzyme. The infected cells now have a copy of the virus growing inside of them which allows the virus to grow and develop and with that spread all over the body. FeLV in cats is known to lead to death in more than 85% of the cases within three years of infection. As we mentioned earlier, next to trauma, FeLV is the second most common cause of death among cats. The reason why the numbers are so high is because the Feline Leukemia Virus leads to a serious medical condition in cats – cancer. Yes, cancer threatens our beloved four-legged friends as well as us! When it comes to Feline Leukemia Virus, there is both good and bad news. The good news is that the Feline Leukemia Virus is absolutely preventable! The bad news is that most cats with the virus die within the first three years after the infection. How do Cats get Feline Leukemia Virus (FeLV)? Unfortunately, there are many ways for a sick cat to transmit the feline leukemia virus to healthy cats. A cat can develop Feline Leukemia after getting in contact with any toys, food bowls and clothing that an infected cat had used before. The most common way, however, is transmission through saliva and blood. 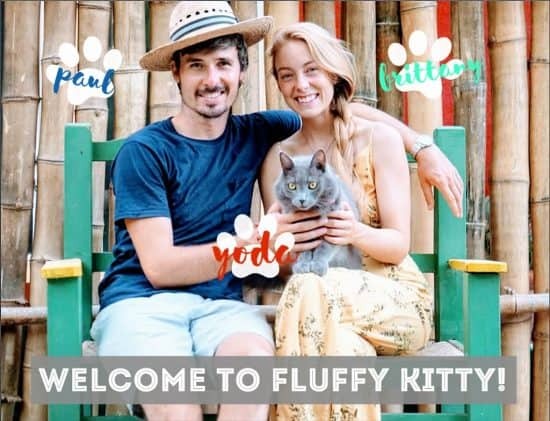 The Feline Leukemia Virus is also transmittable from an infected mother to her kittens in the womb as well as from an infected mother that is nursing her babies. Transmitting the FeLV through urine and feces is rare, but not unlikely to happen. The cats most at risk of contracting the virus are kittens, male cats, stray cats, and outdoor/indoor cats. Kittens have the weakest immune systems, making them most prone to infections and diseases. And it is male, stray cats that are most commonly engaging in fights with other cats, exposing themselves to the risks of getting infected by the FeLV and much more. Cat leukemia is evil. Your cat can go on for a long time, appearing healthy without ever developing symptoms. The Feline Leukemia symptoms in cats can show when the cat has sadly entered the final stages of feline leukemia when death is most probable to happen. The Feline Leukemia Virus affects the cat’s body in many ways. In most cases, it leads to cancer, and that is what kills most of the cats infected with the FeLV. It is also known to cause blood disorders and serious immune deficiency disabling the cat from being able to fight any of the potential infections around her, once again, putting her life in danger. 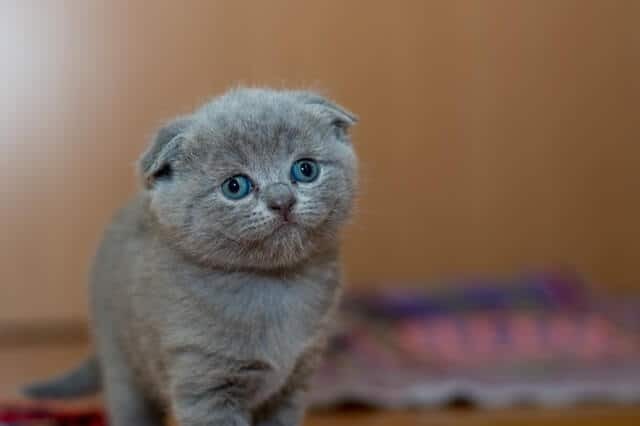 As always, the veterinarian will perform a physical exam, medical history and perform the needed laboratory test to rule out any other possible causes for the symptoms that your cat is showing. A simple blood test can determine whether or not your cat has the FeLV. The blood test looks for a protein present in the cat’s blood that is actually a component of the virus itself and known under the term FeLV P27. The blood test also looks for any antibodies being present in the blood. This is usually enough for the veterinarian to confirm your cat’s diagnosis. Unfortunately, up until now, there is still no definitive cure for the FeLV. Unfortunately, death is inevitable. What you can do in a case of FeLV is offer your cat as much as love and support you can during the days that will follow. Keep him or her fed, warm, happy and healthy as much as possible. It is estimated that an infected cat with the Feline Leukemia Virus (FeLV) lives approximately 2.5 years. But not everything is black and negative. 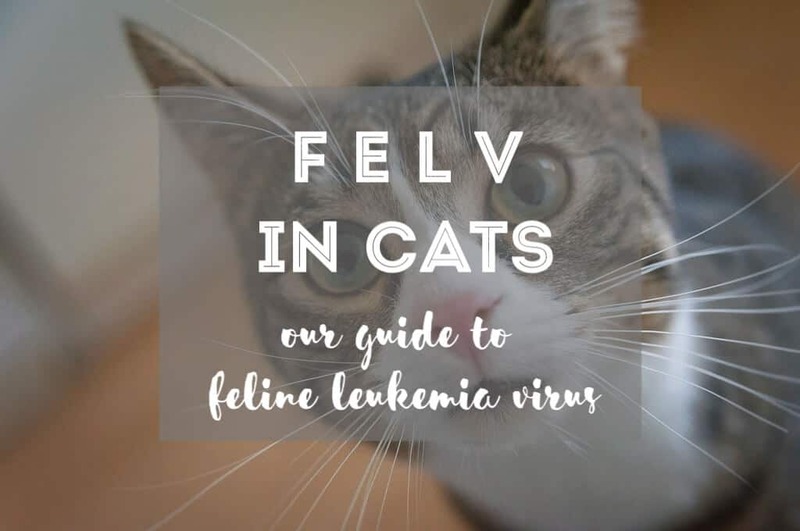 As we mentioned earlier, the good news about Feline Leukemia Virus (FeLV) is the fact that it is highly preventable and all of that with one simple FeLV vaccine! We encourage all of our readers and beloved cat friends to get their cat vaccinated against the FeLV as soon as possible! It is for the best if you vaccinate your cat while it is a small kitten. But do not miss the opportunity to do it right now if you have missed the earlier chance. However, please do remember that the FeLV vaccine is not 100% effective. It is not guaranteed that it will protect all cats 100% against the virus. Other prevention methods need to be taken seriously as well. We advise you to limit the contact between your cat and other cats of whose health condition you are not fully aware of. If you can, limit the time that your cat is spending outside your home. Test your cat for the FeLV virus as soon as possible as well. 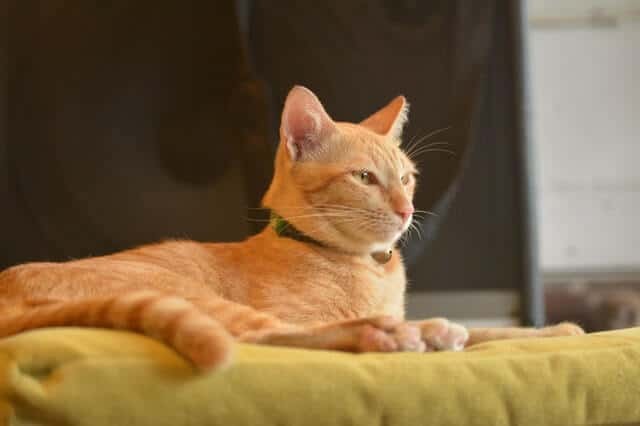 Proper screening for the test should be performed for any new cats and kittens that you might take in your house, especially if you plan on keeping them on the same grounds as your first cat. If you are afraid of the possibility of your cat transmitting the Feline Leukemia Virus (FeLV) to you or any other family member or pet such as a dog in the house, do not be. FeLV is not transmittable to other living creatures other than cats. You see, the FeLV is a virus that only affects cats and can be transmitted only among infected and healthy cats. The Feline Leukemia Virus (FeLV in cats) is a serious condition that threatens to end your cat’s life and cause some serious health issues in its last days. From sharing the same food bowls and toys to getting into fights and earning some bad bloody wounds, there are few different ways that your cat can get infected with the virus. The good news is of course that there are also quite a few ways that you can prevent your cat from contracting such a virus. Remember to vaccinate your pets (and spay and neuter). Next Post The Boxscoop 2.0 – The Litter Box That Cleans in 6 Seconds!